Among the new age coffee brands, there’s one that really grabs the attention and promises to revolutionize the coffee space in India. With a vision to deliver premium coffee anytime anywhere, two friends Samayesh Khanna and Rahul Jain have brought to the market a unique three step process they call “Tear, Anchor, Brew”. INDIA IS among the world’s fastest-growing markets for packaged coffee, a new research by Mintel shows, expanding at a compounded annual rate of over 15 percent between 2012 and 2016, India ranks third after Indonesia and Turkey. The factors that play a major role in the growth of coffee market are the growing demand for ready-to-drink coffee, a growing disposable income and rapid urbanization, and rising number of coffee outlets across the globe. Seeing the potential in this industry, many new comers have joined the line and entered the industry with some new variants to offer. Among the new age coffee brands, there’s one that really grab our attention and promises to revolutionize the coffee space in India. 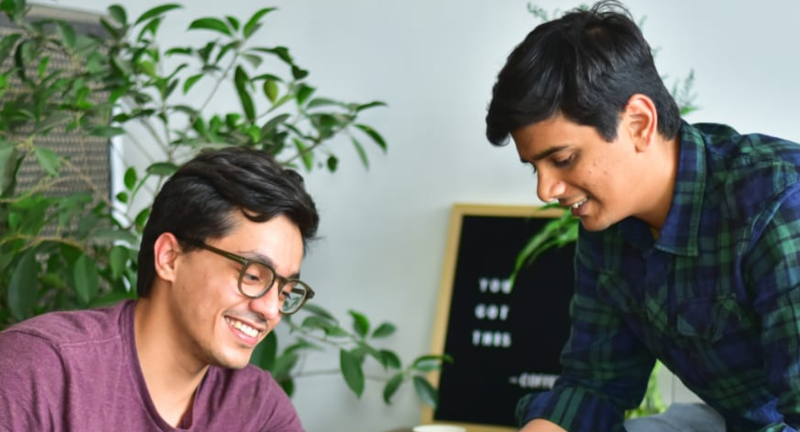 With a vision to deliver premium coffee anytime anywhere, two friends Samayesh Khanna and Rahul Jain have brought to the market a unique three step process they call “Tear, Anchor, Brew”. 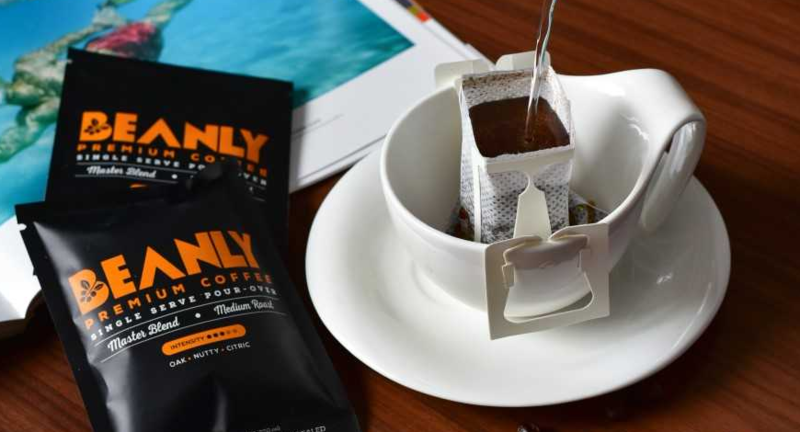 The highlight of the Beanly Single Serve Bags is how convenient they make brewing a cup of a premium coffee. Getting premium coffee delivered anywhere and at any time is a dream for any coffee aficionado. Beanly takes this dream a step further! This coffee brand brings a convenient and fresh, authentic coffee experience to the everyday Indian through carefully profiled and roasted coffee beans in the Pour-Over Bag. “With every bag we try, to make the coffee you have everyday an experience to remember,” says Jain. As they take us through the process, they explain how the experience is brought to the customers in the freshest possible manner. The process ensures that the coffee is exposed to the least possible light and air as possible. Every bag is packed within a minimum exposure environment and nitro flushed to keep the coffee as fresh as it was when first packaged. The coffee is shipped, packed and delivered within a ‘seven day’ goal, without losing out on the flavour and aroma from the beans. Each Beanly Coffee that goes into the bag is not just hand-picked to perfection by their sourcing team, but is also checked under stringent quality parameters. Beanly coffee blends also support the local farmers reflecting the support towards the 'Make In India' movement. The brand is currently actively engaged it its marketing process and holds its USP in the number of plug-ins and partnership to be developed. As the duo is developing synergies and partnerships they have worked with few event properties like TSM ,DCWA , HT Palate and are working as exclusive partners for chains like Fat Lulu.